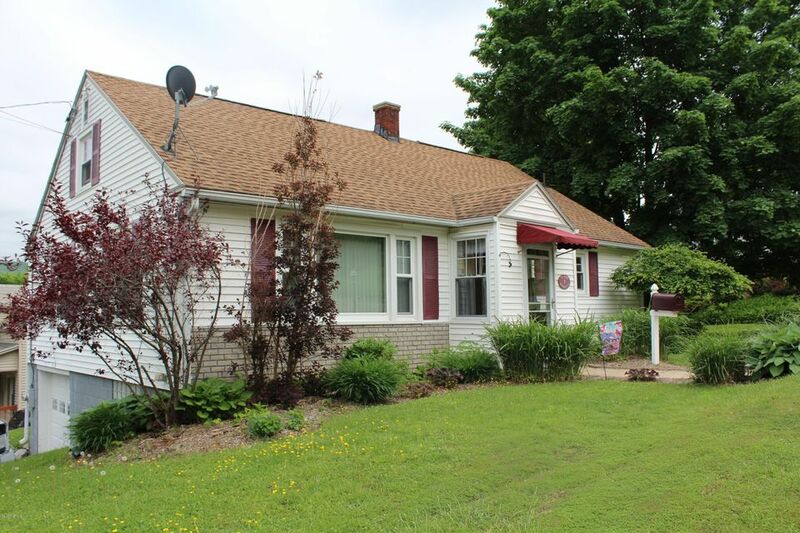 Don't miss this neat, well kept affordable & stylish cape with plenty of charm & lower taxes! Bright & airy kitchen that opens to the living area. Hardwood floors with herringbone pattern throughout. French doors leading to your own patio with pergola for outdoor entertaining with perennial gardens & shed. Bonus finished 2nd floor with 3rd bedroom & plenty of storage. Front door awing & mud room. 9 year old furnace converted to gas. Conveniently located on the West side of town with distant hilltop views on a corner lot. New roof in 2004. New windows in 2007 & 2010.